This small, family winery is located high in the plains near L’Aquila. Founded in 1920 by Antonio Cataldi Madonna, the winery is now run by son Luigi who produces some of Abruzzo’s best reds, whites, and roses. 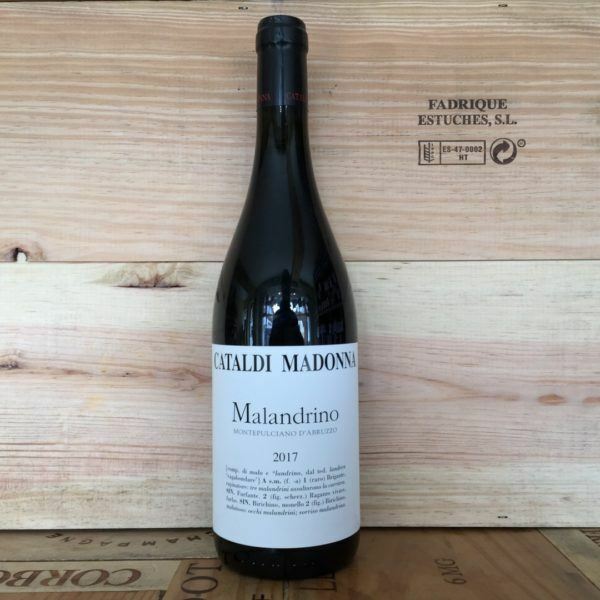 The Madonna Malandrino Montepulciano represents the entry level Montepulciano d’Abruzzo for Cataldi Madonna. This wine is produced from grapes grown in six vineyards in Ofena, the “oven of Abruzzo”. This wine sees no oak, with it aged in stainless steel and cement vats for 12 months before three months in bottle before release. The bouquet on the nose is intense, clean and pleasing, with aromas of black cherry, blueberry, plum, carob and violet followed by pleasing aromas of walnut-husk. On the palate it is balanced, with agreeable tannins, good body and intense flavours. This is followed by a persistent finish with flavours of black cherry and plum.